Lotspeich provides open decorative panels and grilles for architectural facades and vision screens for mechanical and parking enclosures. Materials for such fabrications include aluminum, stainless steel, terracotta, and wood. 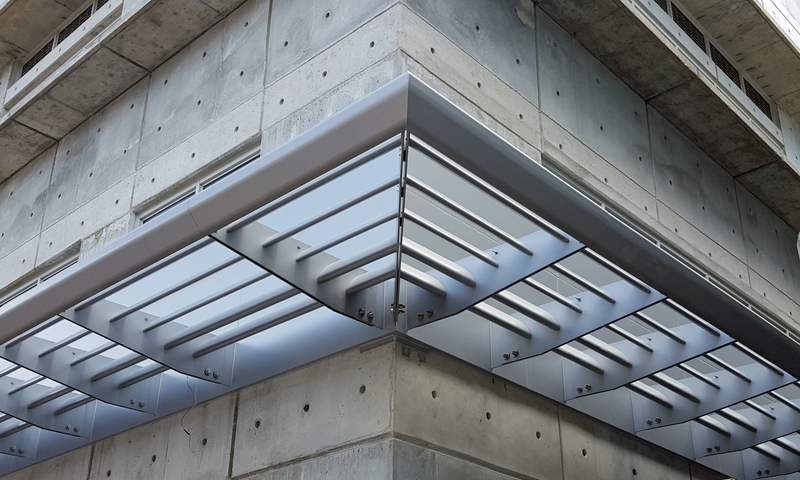 Working with Construction Specialties’ exteriors division as a preferred contractor, we specialize in their louvered and geometric aluminum vision screens, as well as architectural grade weatherproof louvers and sun controls.